Curabitur eros, laoreet vel nunc acester, suscipit conetur augured, Tempus tempor nullaert necviae orcer dipiscing. Integer necest mauris nulla faucibus magna aliquam posuere, adipiscing pulvinar. Etiam non aliquet tellus, vitae venenatis orci necest suspendisse fermentum. OUR NAME SAYS IT "ALL"
Serving the Tri State area for over 35yrs, with over 400 different colors of granite and marble slabs. We started by finding solutions for our customers' home improvement projects, we quickly grew to not only offer stone fabrication, but also provide ceramic, porcelain and glass tile, kitchen and bath cabinetry, sinks and faucets, as well as installation services. 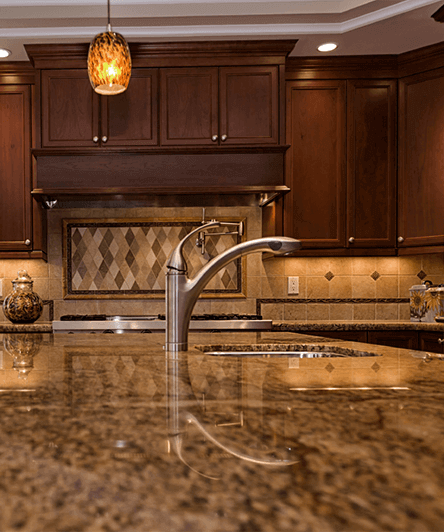 With an impressive selection of granite and marble in the area, we pride ourselves in offering unparalleled products and services to builders, remodelers, designers and homeowners. 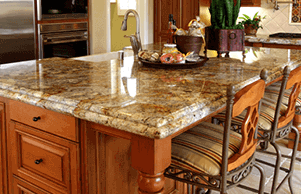 We offer granite, marble, onyx, travertine, limestone, slate and engineered stone slabs and fabrication. Porcelain, ceramic, and glass tile and mosaics. Cabinetry from stock to custom installation and remodeling services. LIKE OUR NAME SAYS, WE DO IT ALL! We have the experience and knowledge to come up with a design that can fit any budget. Our experienced staff can help you design your project and keep you on budget. We pride ourselves in our ability to educate the customer on what choices they have and why a certain material would work better for them is why we are here. We help in selecting the right color, pattern or design to match their decor; we help to identify the correct materials or design to be used so as to enhance the overall design of their project. 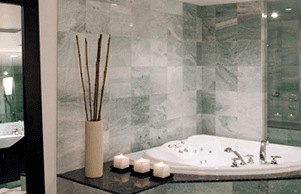 We will help you in designing and selecting the tiles for your walls, floors, bathrooms, kitchen and exterior pavers. We use best tiles which are affordable and easy to maintain. They are durable and stain resistant.